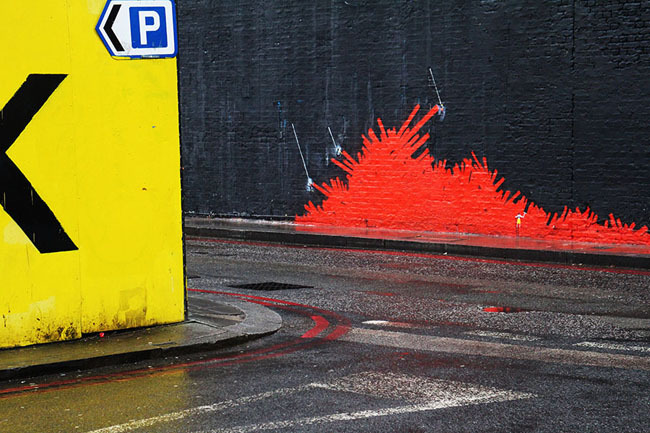 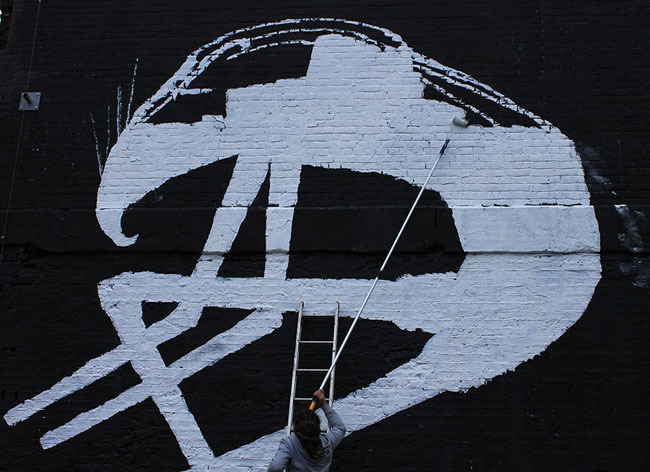 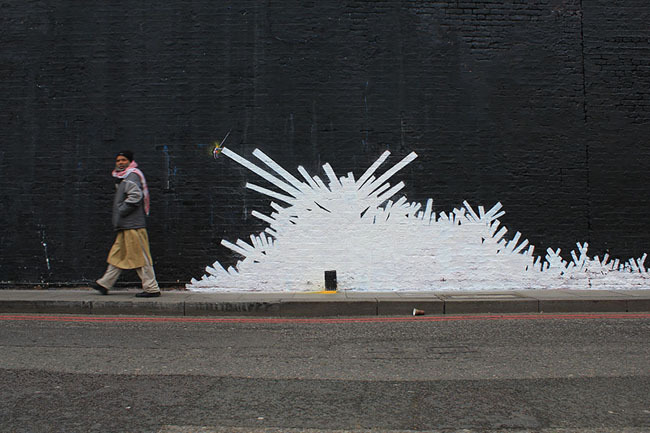 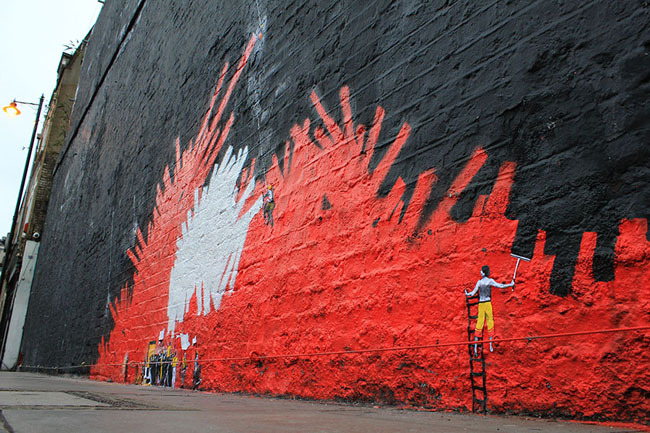 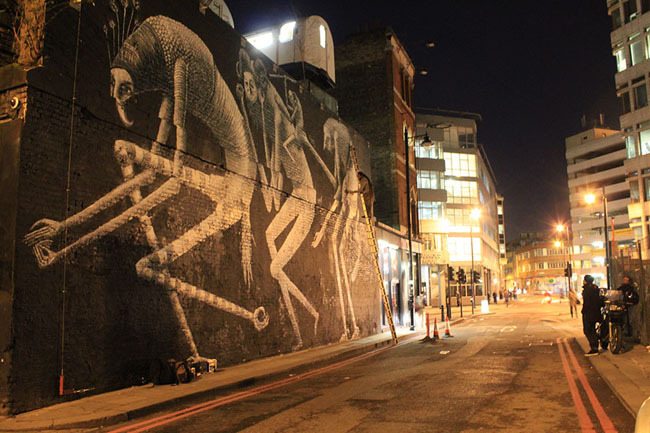 Street art is the biggest artistic movement of the 21st Century, London is a pre-eminent city within this movement and the Village Underground Wall itself is at the epicentre of London’s street art milieu. 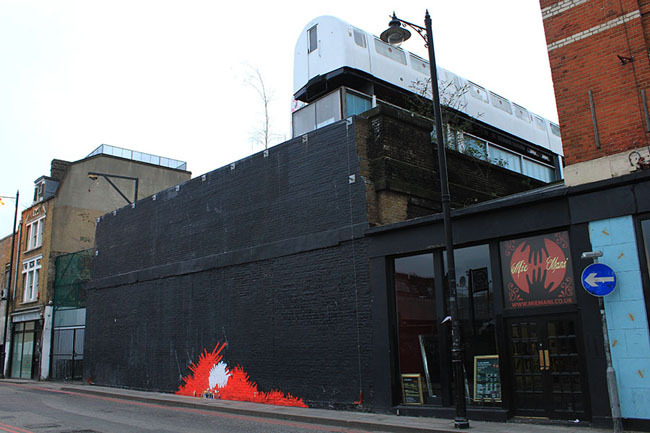 To find out more about the artists involved and follow the Village Underground Wall Project as it unfolds over the coming months head over to the dedicated site at streetartlondon.co.uk/walls. 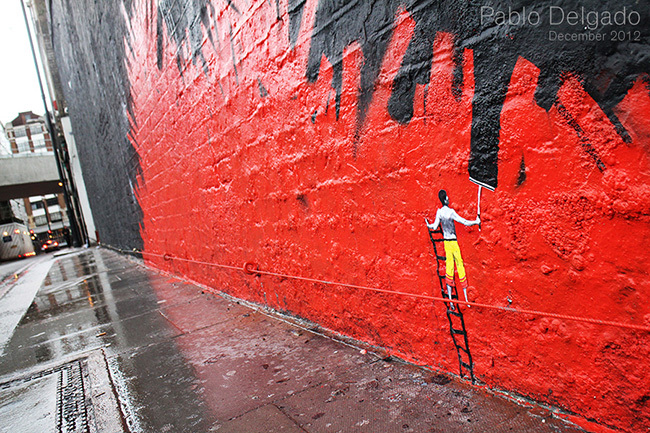 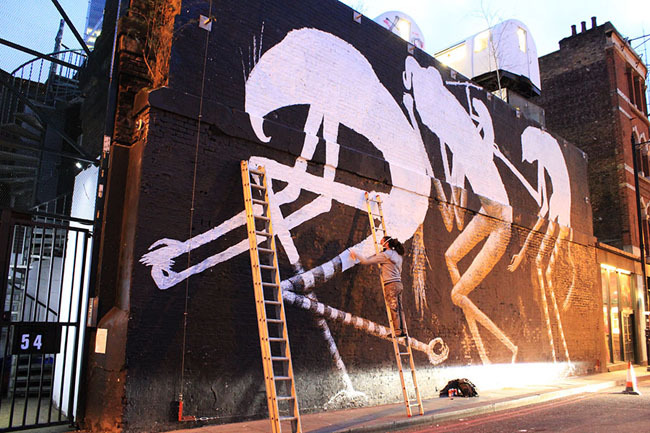 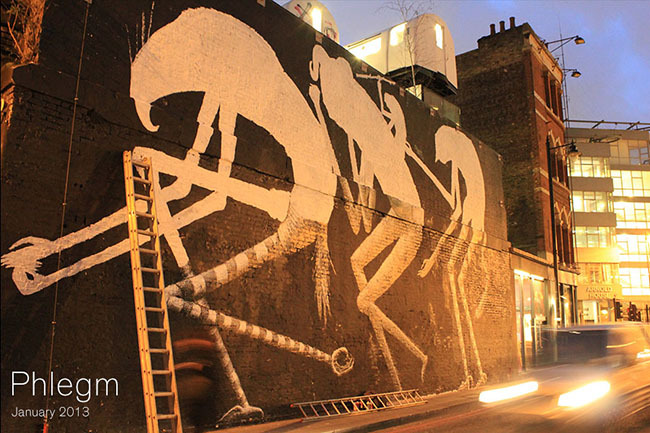 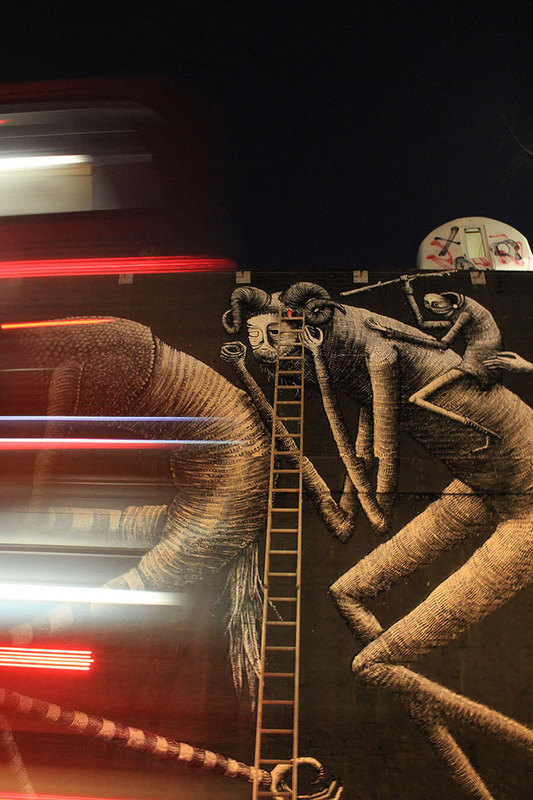 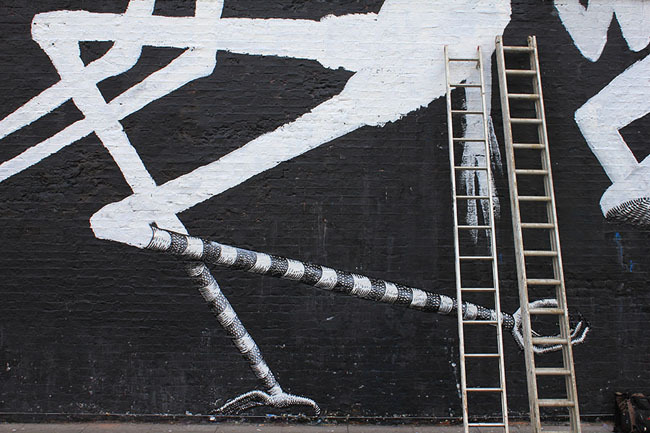 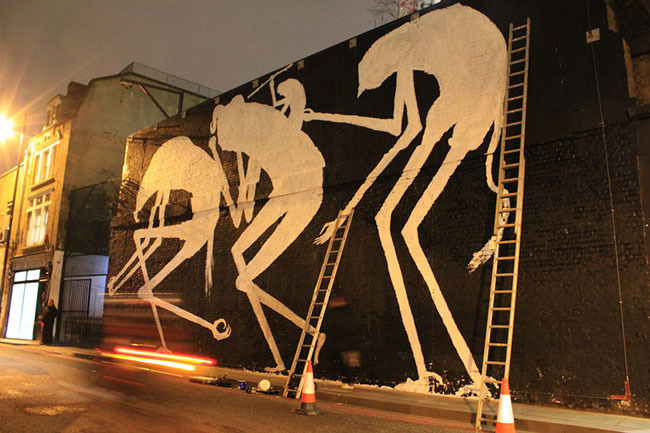 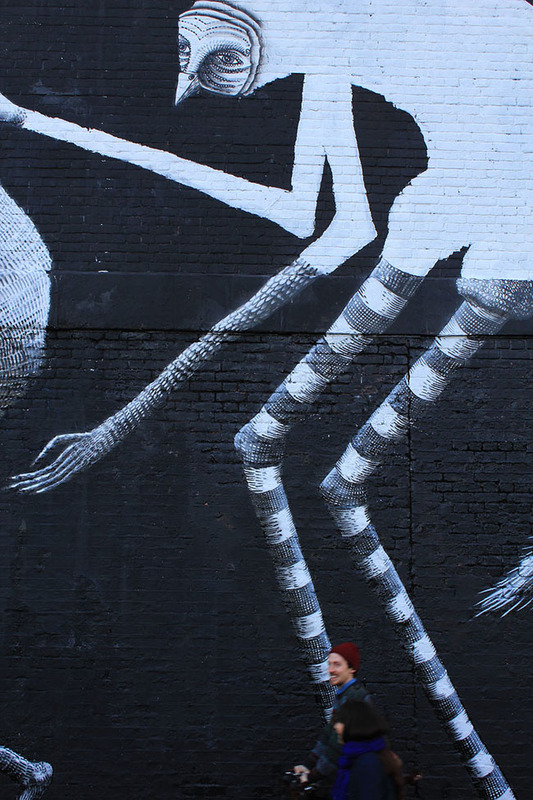 There are also some images below of Pablo Delgado and Phlegm’s respective walls.